Core, Warm up and Cool Down, Stretching & more.. 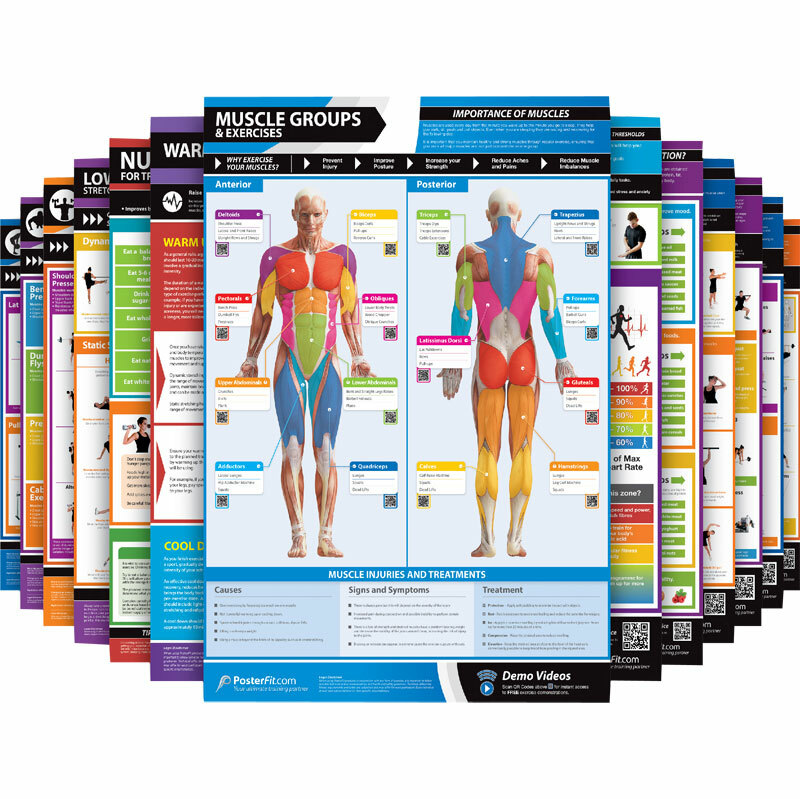 The PosterFit Complete Poster Set of 13 posters is guaranteed to brighten up your training environment and are a great reference point for all gym users to get clear and concise advice and exercise ideas. Charts included: Arms, Shoulders, Chest, Back, Legs, Core, Warm up and Cool Down, Upper Body Stretching, Lower Body Stretching, Understanding Nutrition, Nutrition for Training, Training Zones and Thresholds, Muscle Groups and Exercises. Each poster is finished in durable laminated paper. Size of each poster 584mm x 840mm.